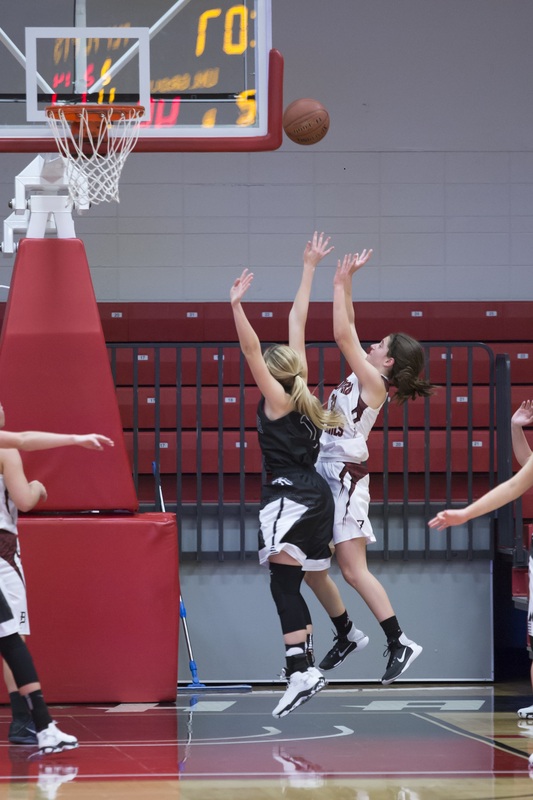 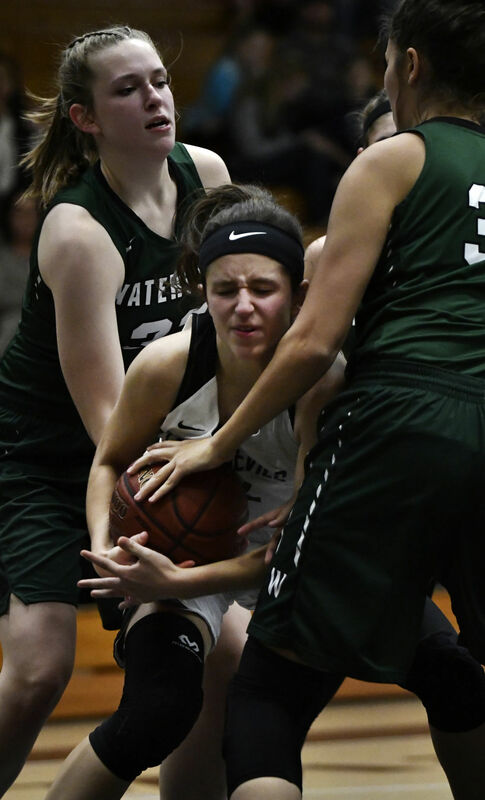 Katherine Lesavich — Received Wisconsin South East Conference (SEC) All Conference Team – Honorable Mention – for 2017-2018 season. 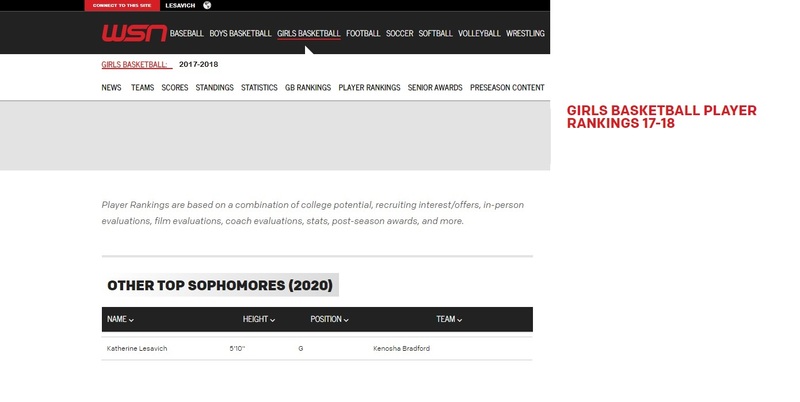 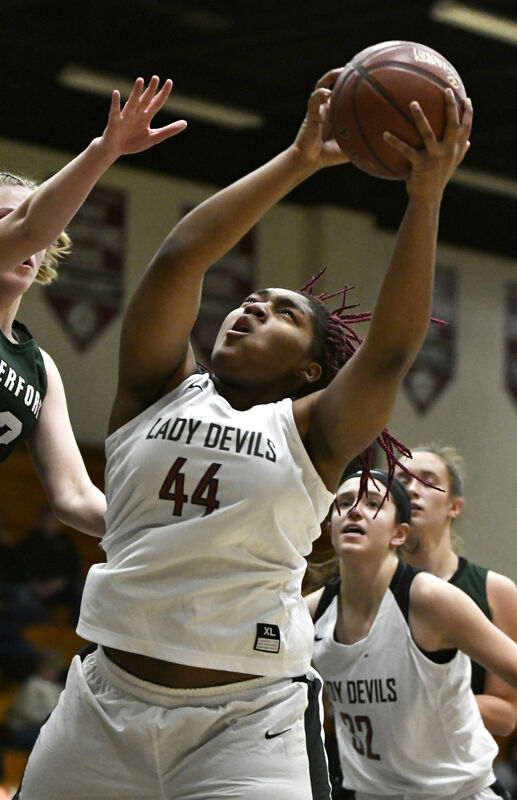 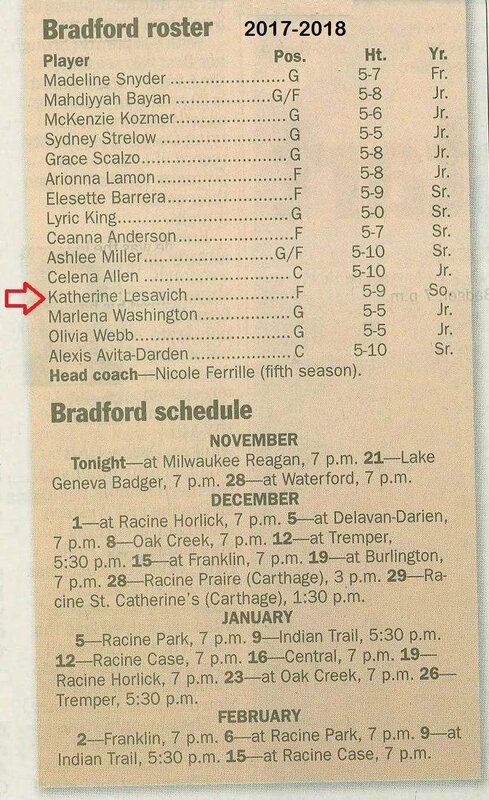 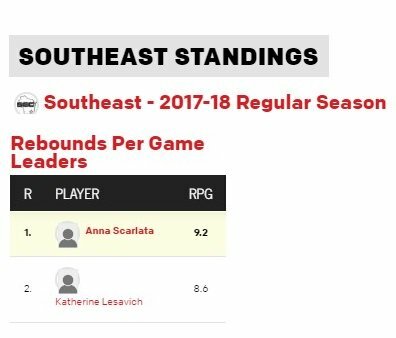 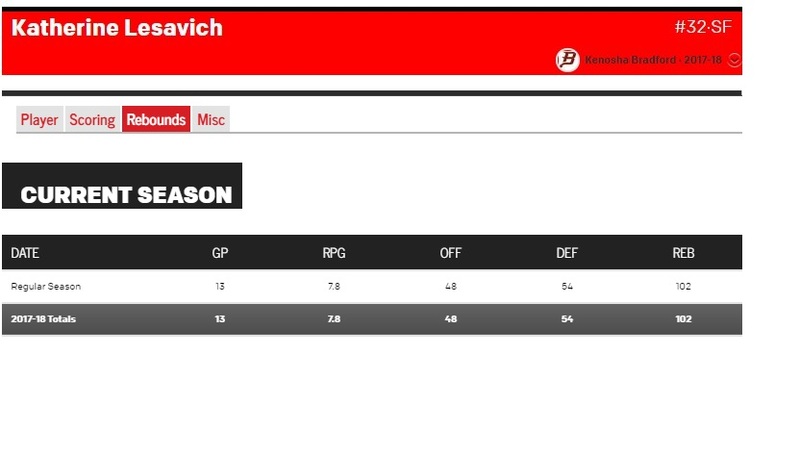 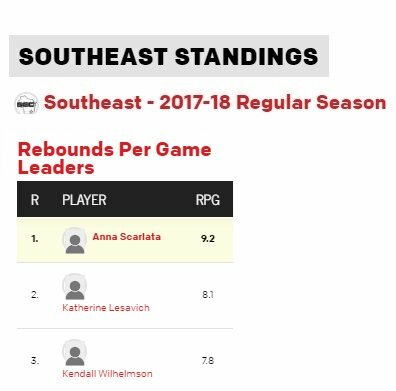 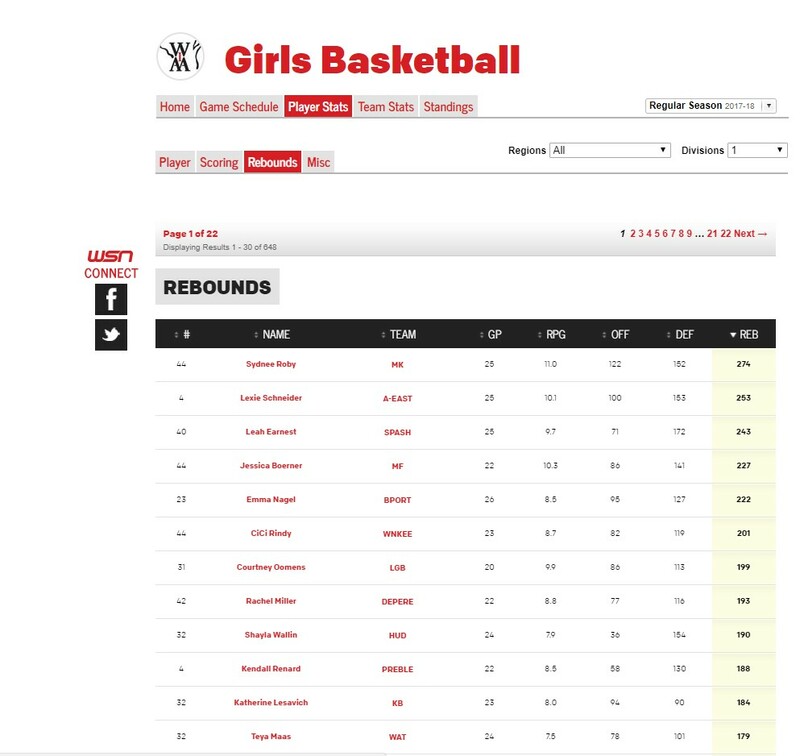 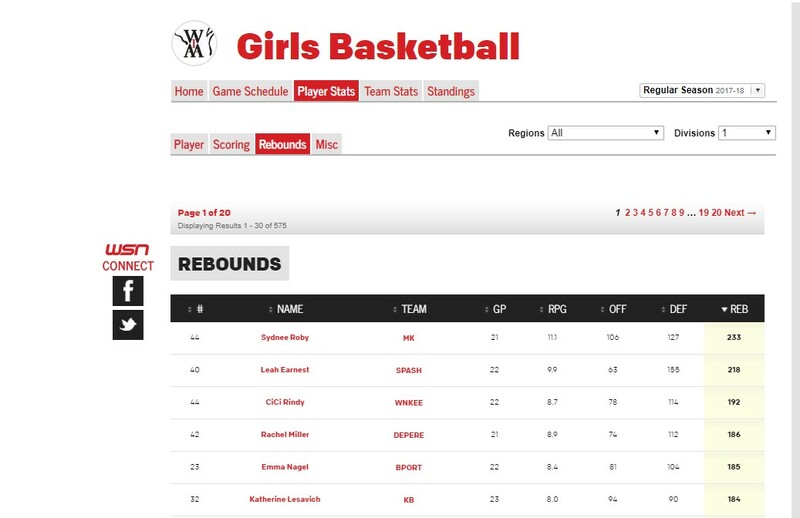 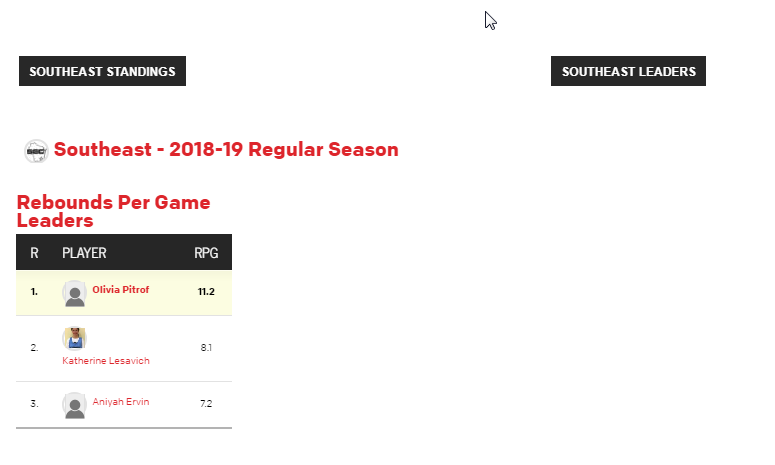 Katherine Lesavich — Ranked #11 for Total Rebounds in the State of the Wisconsin for all D1 schools in the Final Rankings for the 2017-2018 Season. 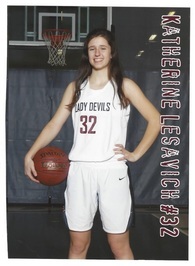 Katherine Lesavich with John Lucas – September 1, 2018. 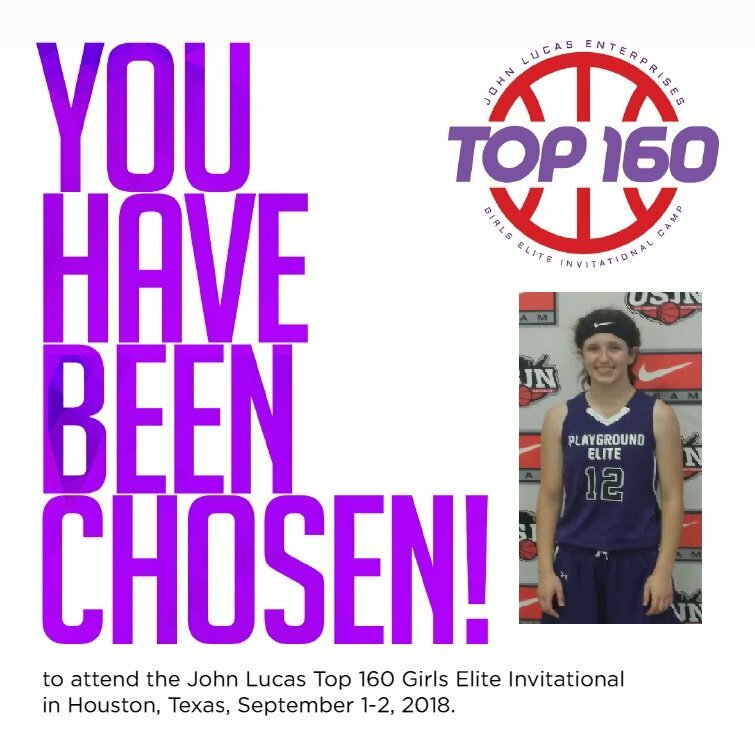 Katherine Lesavich receives a personal invitation to the John Lucas Top 160 Girls Elite Invitational Camp, Houston, TX, Sept. 1-2, 2018. 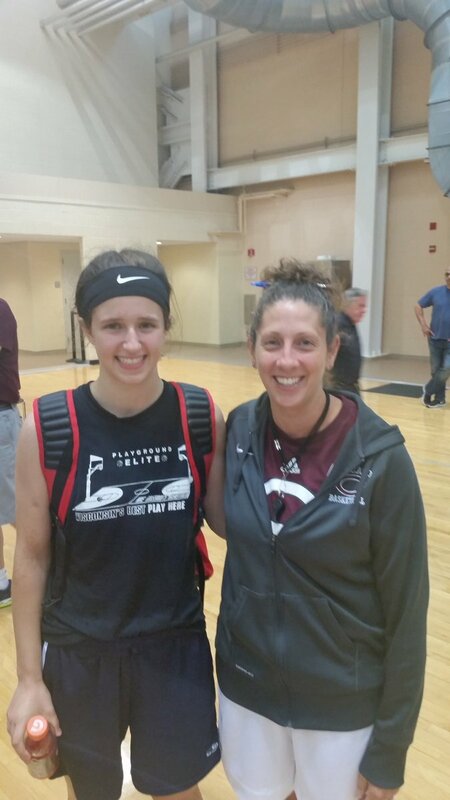 Katherine Lesavich with University of Chicago Coach Carrissa Knoche at the Elite Prospect Camp, on August 4, 2018. 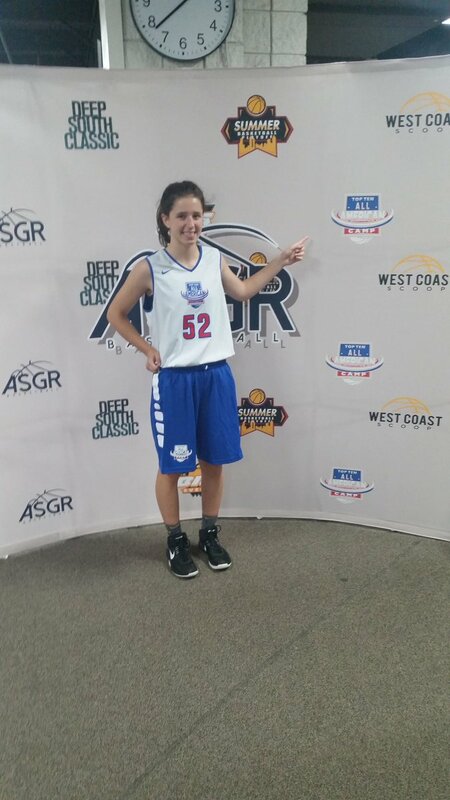 Katherine Lesavich receives an invitation to the ASGR Top 10 All American Camp in Suwanee, Georgia, July 29-31, 2018. 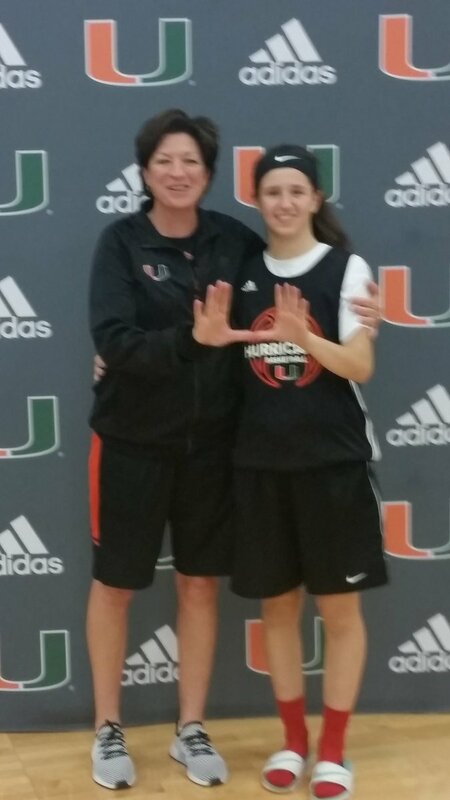 Katherine Lesavich with University of Miami Coach Katie Meier on June 17, 2018. 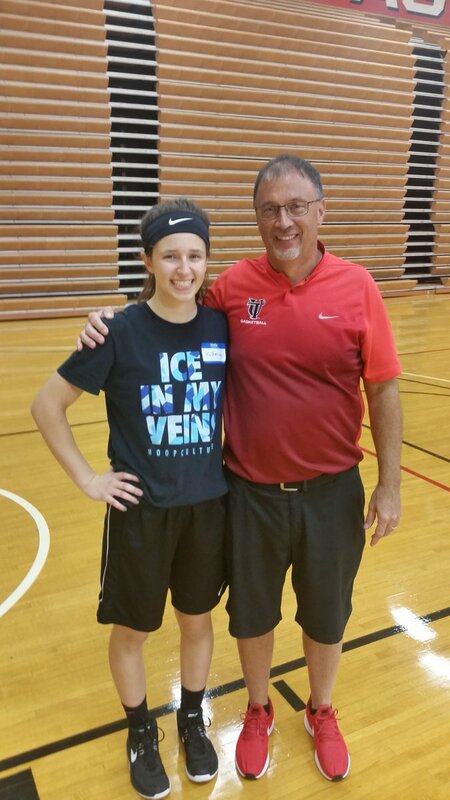 Katherine Lesavich with University of Tampa Head Coach, Tom Jessee, June 16, 2018. 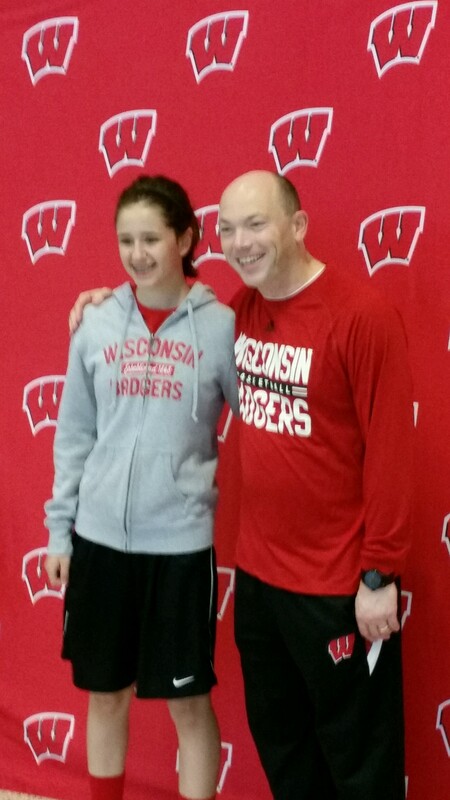 Katherine Lesavich with University of Wisconsin Women’s Basketball Head Coach Jonathan Tsipis in Madison, WI on 6.11.17. 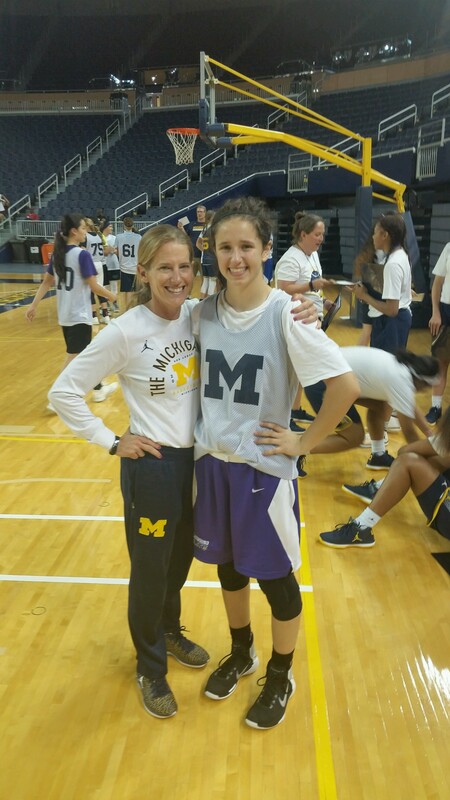 Katherine Lesavich with University of Michigan Women’s Basketball Head Coach Kim Barnes Arico in Ann Arbour, MI on 6.10.17 and June 9, 2018. 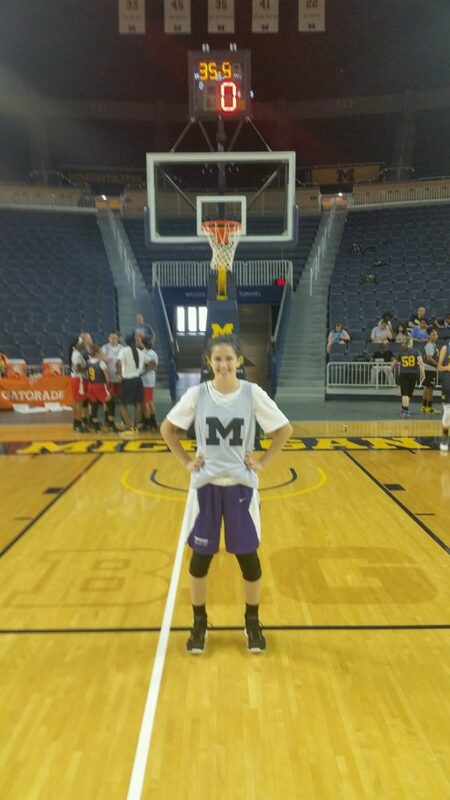 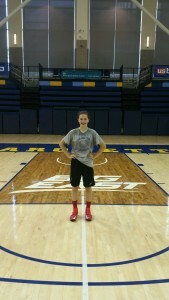 Katherine Lesavich at the Elite University of Michigan Women’s Basketball Camp on 6.10.17. 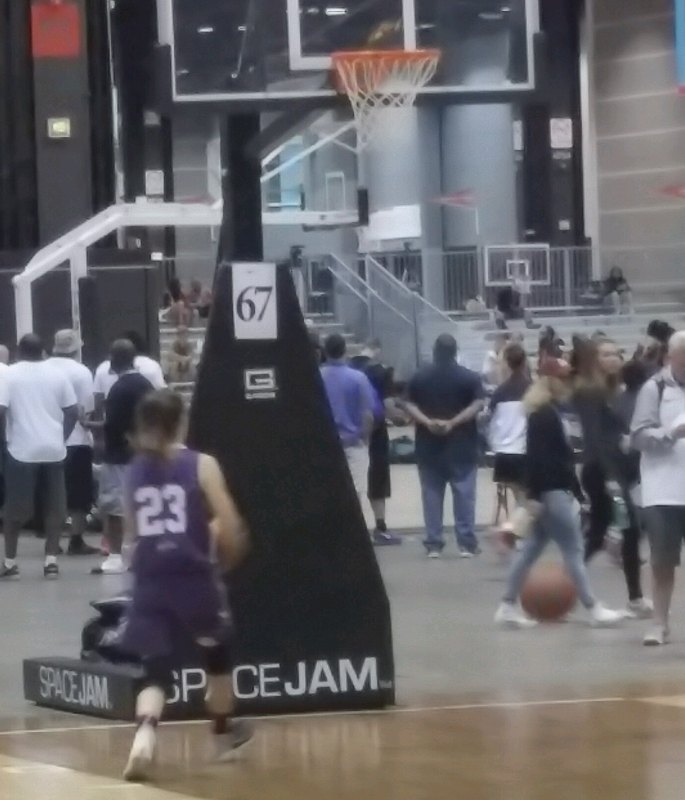 Katherine Lesavich at USJN Championships – Chicago 4.28.17. 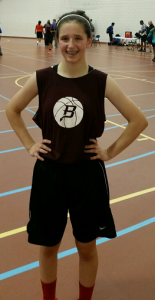 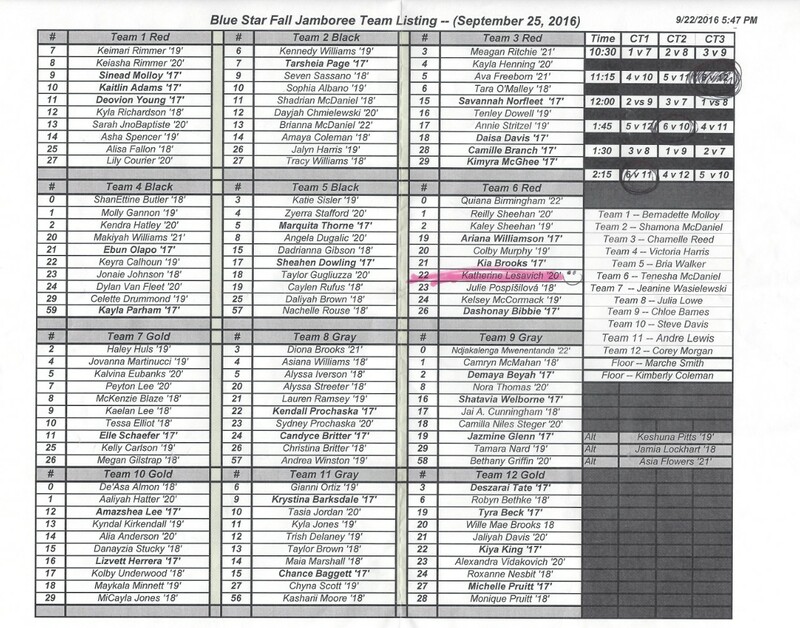 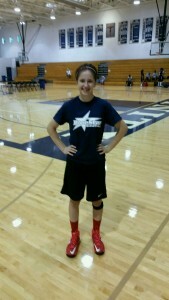 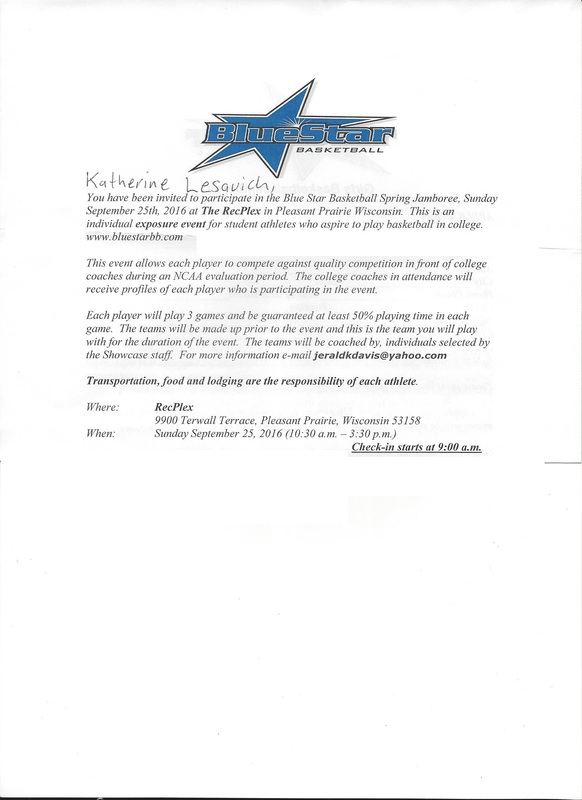 Katherine Lesavich was personally invited and competed at the Blue Star Basketball Summer College Showcase Event in Pleasant Prairie, WI on September 25, 2016. 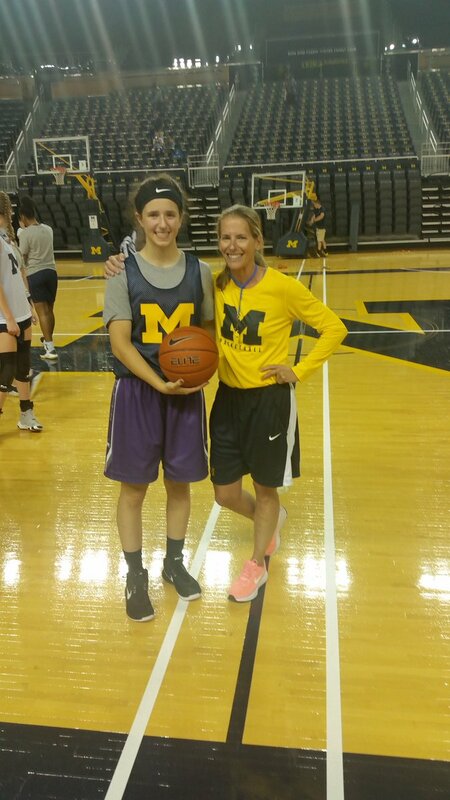 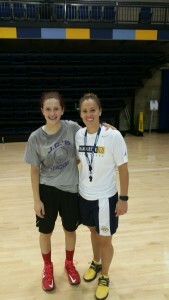 Katherine Lesavich with Marquette Women’s Basketball Head Coach Carolyn Kieger at the Marquette Girls Training Camp on August 4, 2016. 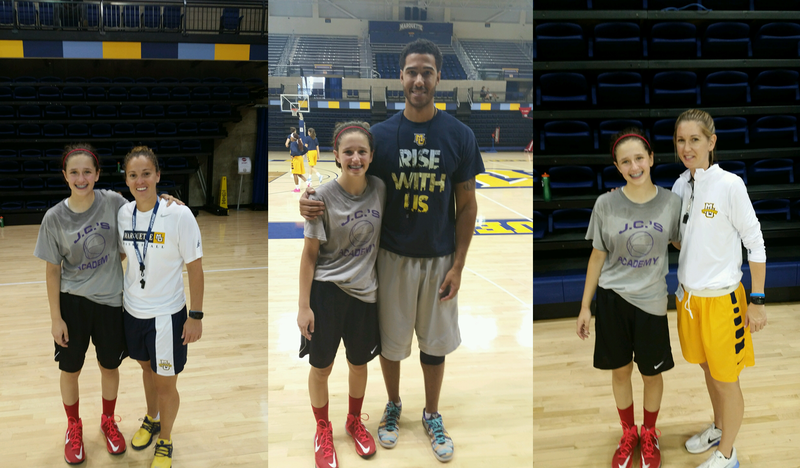 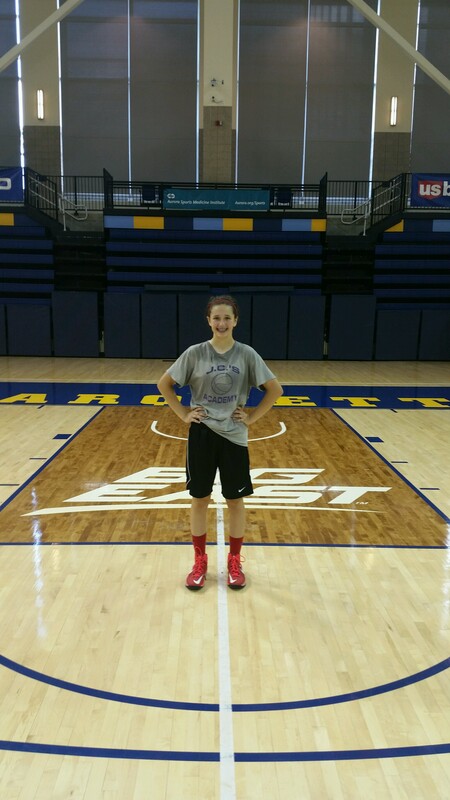 Katherine Lesavich on the floor at the Al McGuire Center at the Marquette Girls Training Camp on August 4, 2016. 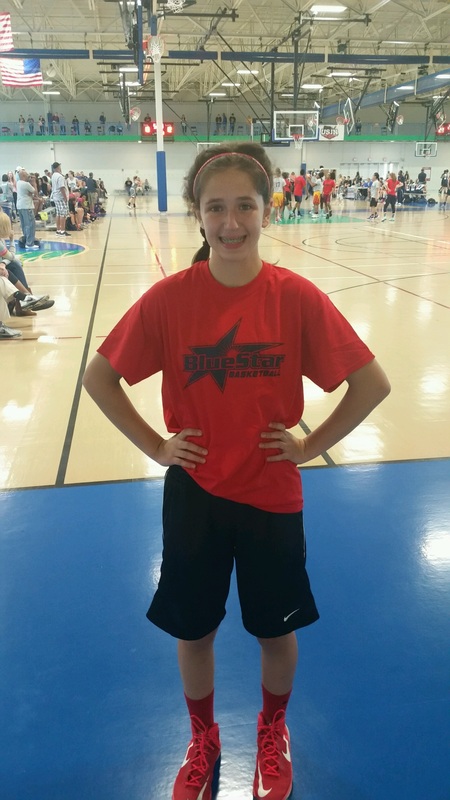 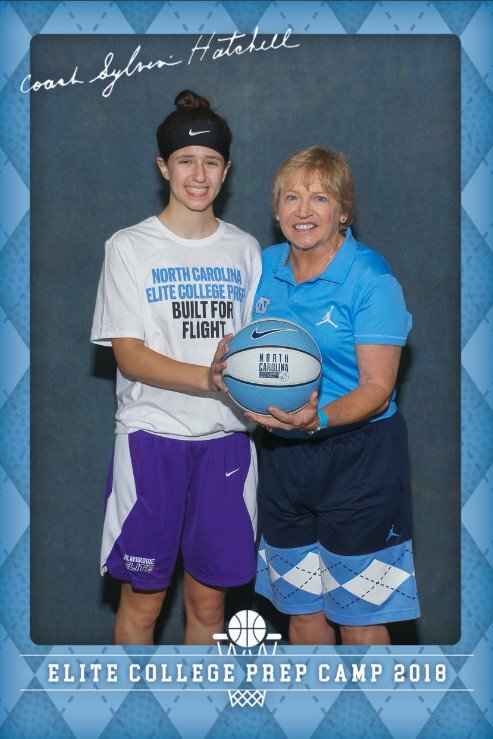 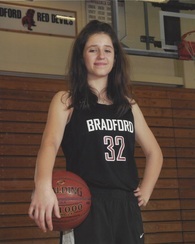 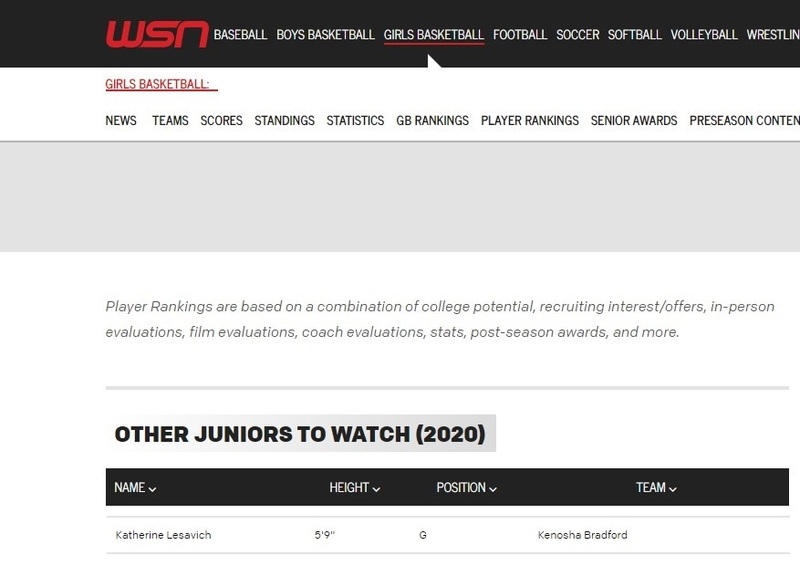 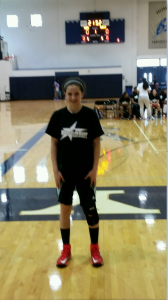 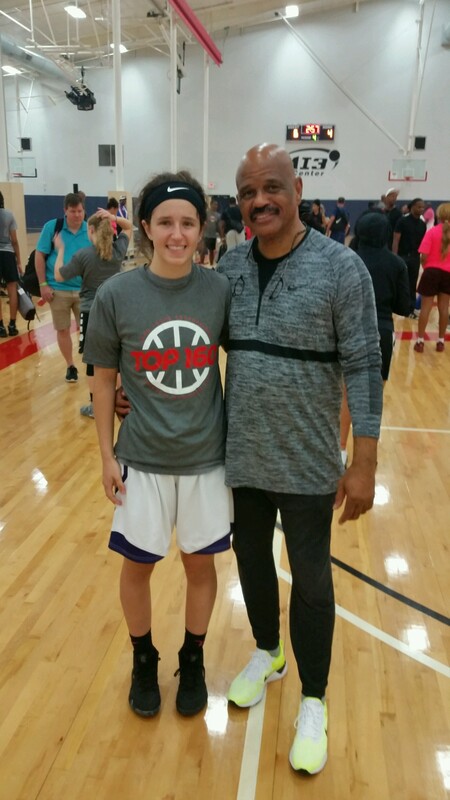 Katherine Lesavich was personally invited and competed at the Blue Star Basketball Summer College Showcase Event in River Forest, Illinois on July 6, 2016. 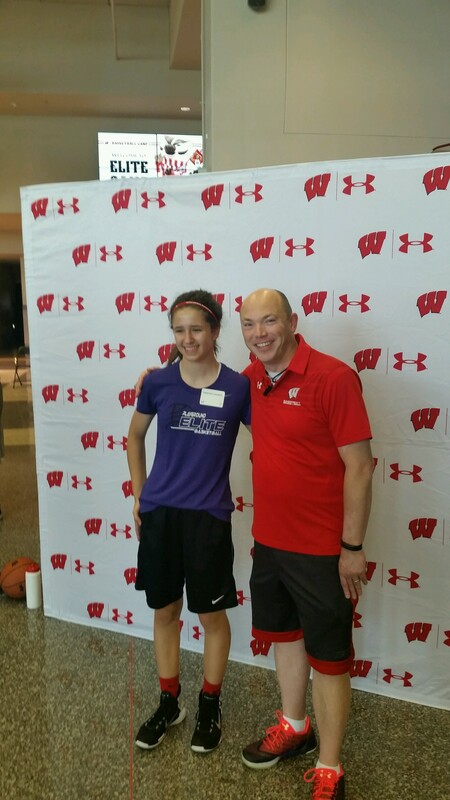 Katherine Lesavich with University of Wisconsin Women’s Basketball Head Coach Jonathan Tsipis at the Elite Badger Girls Basketball Camp on June 12, 2016. 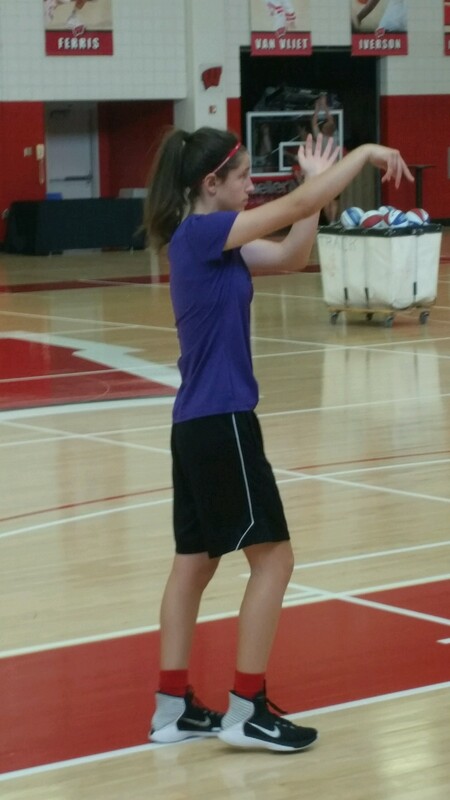 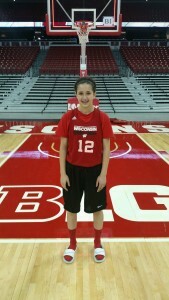 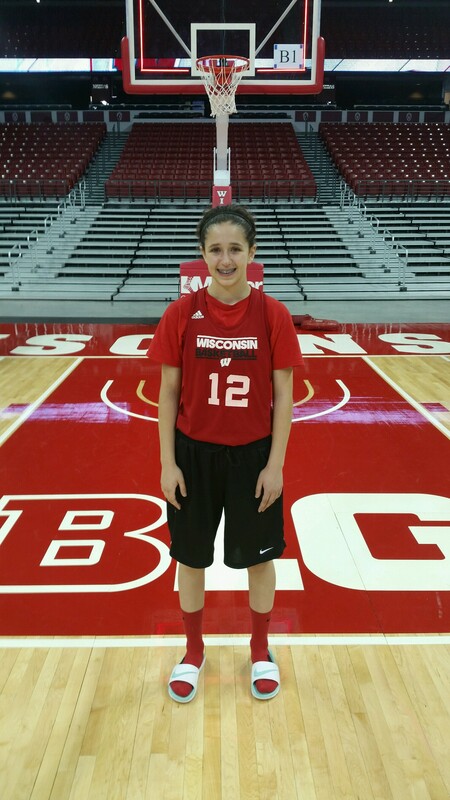 Katherine Lesavich on the floor at the Kohl Center, Madison, Wisconsin at the Elite Badger Girls Basketball Camp on June 12, 2016. 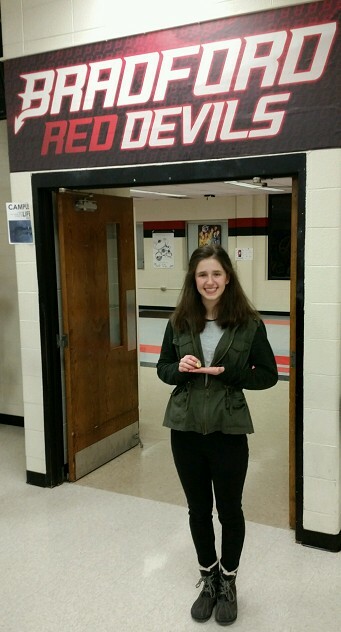 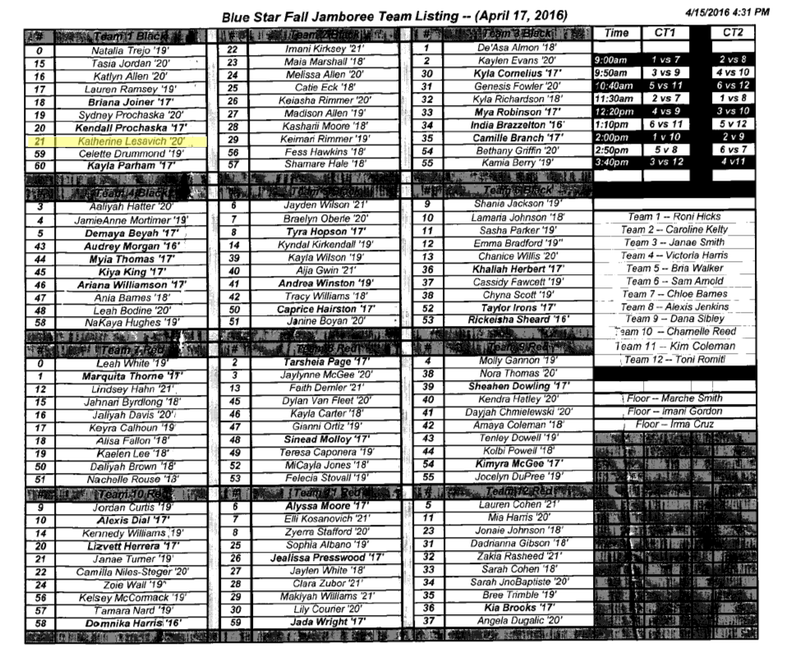 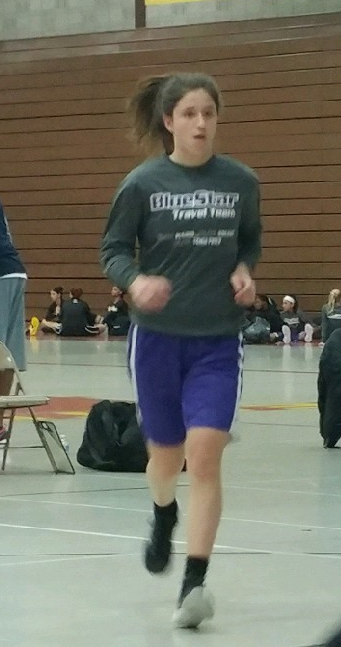 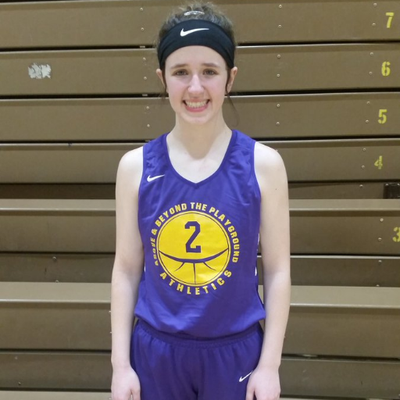 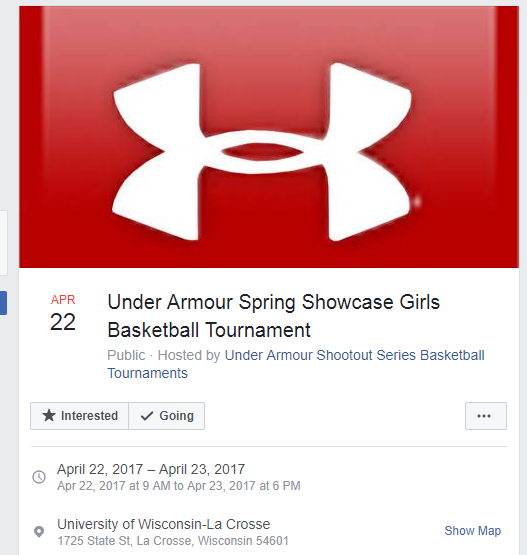 Katherine Lesavich competed at the 11th Annual Blue Star Basketball Spring College Showcase for College Coaches in Waukegan, Illinois on April 22, 2016. 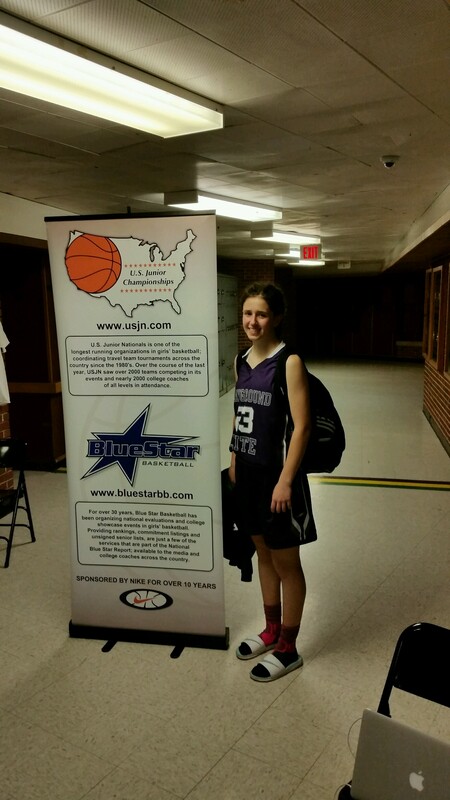 Katherine Lesavich competed at the Blue Star Basketball Spring Jamboree Showcase Event in River Forest, Illinois on April 17, 2016. 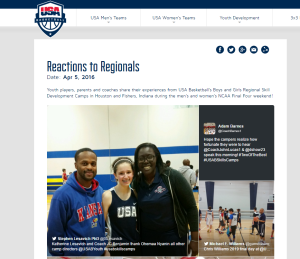 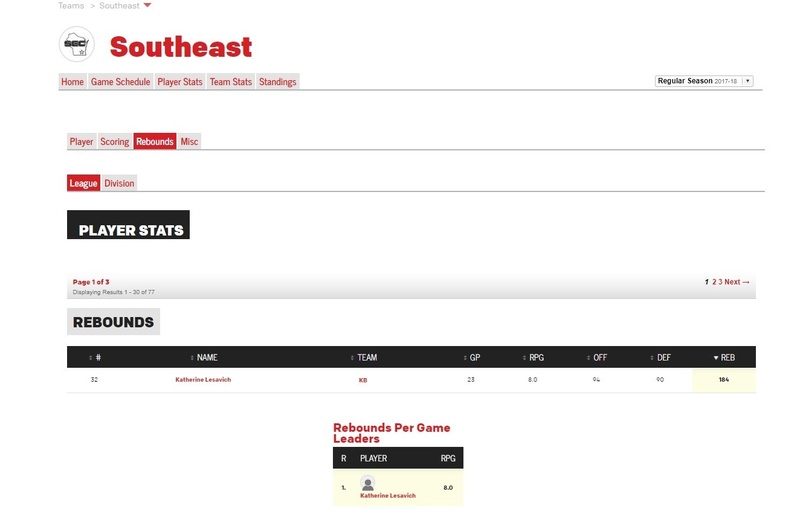 Katherine Lesavich and Coach JC on the front page of USA Basketball web-site – April 2016. 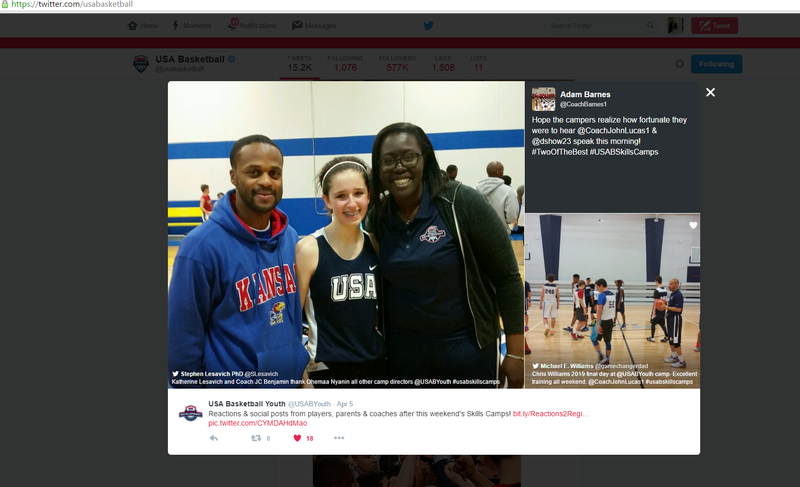 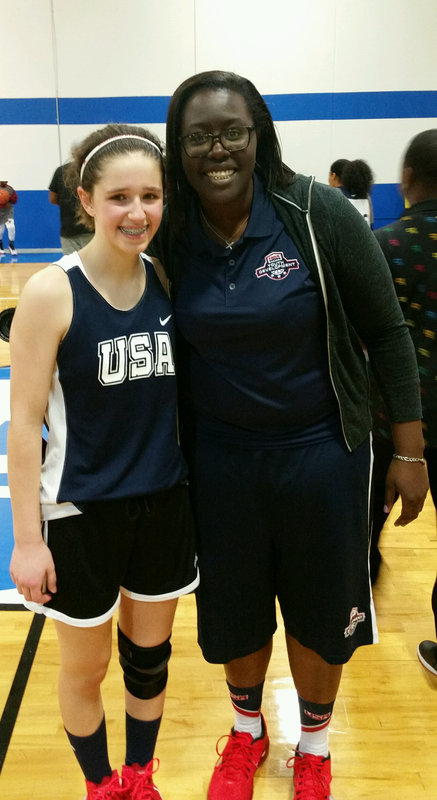 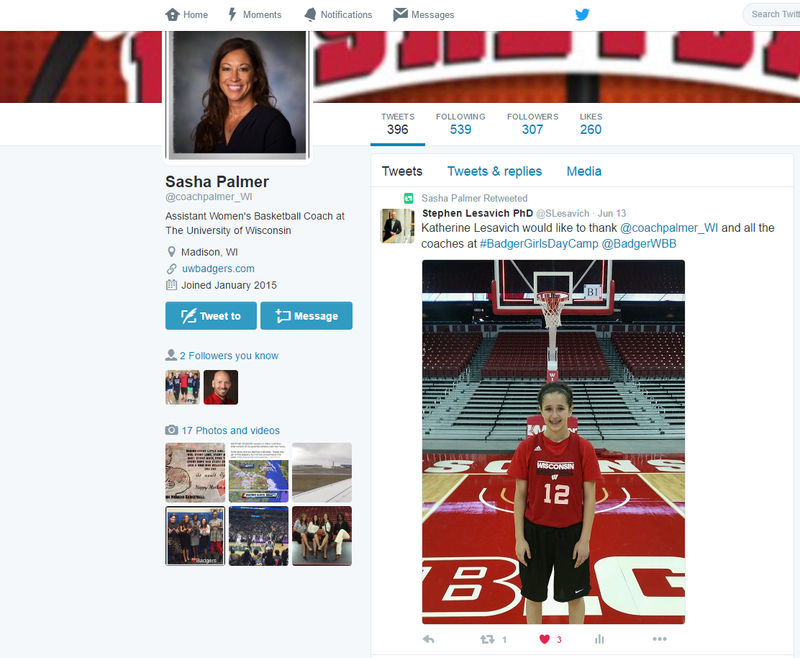 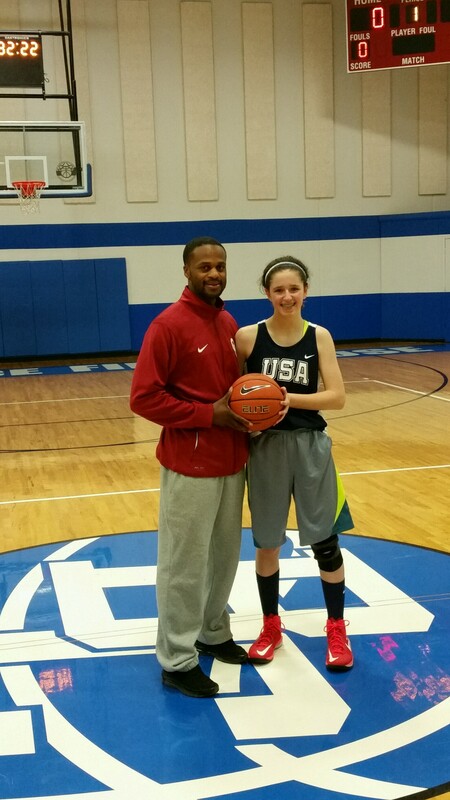 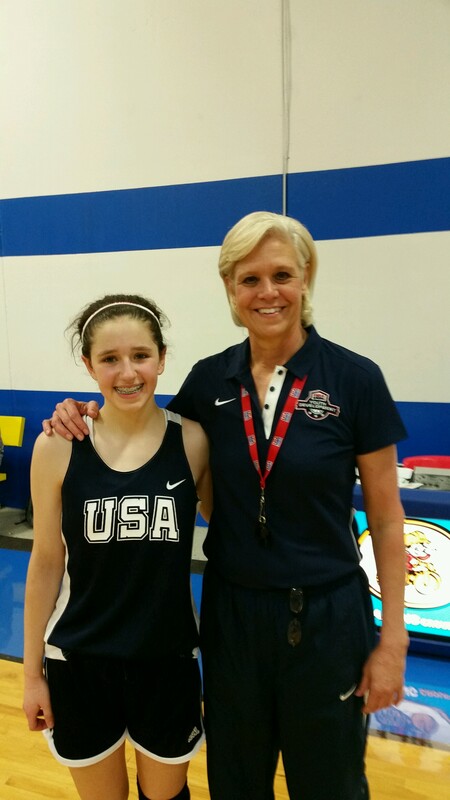 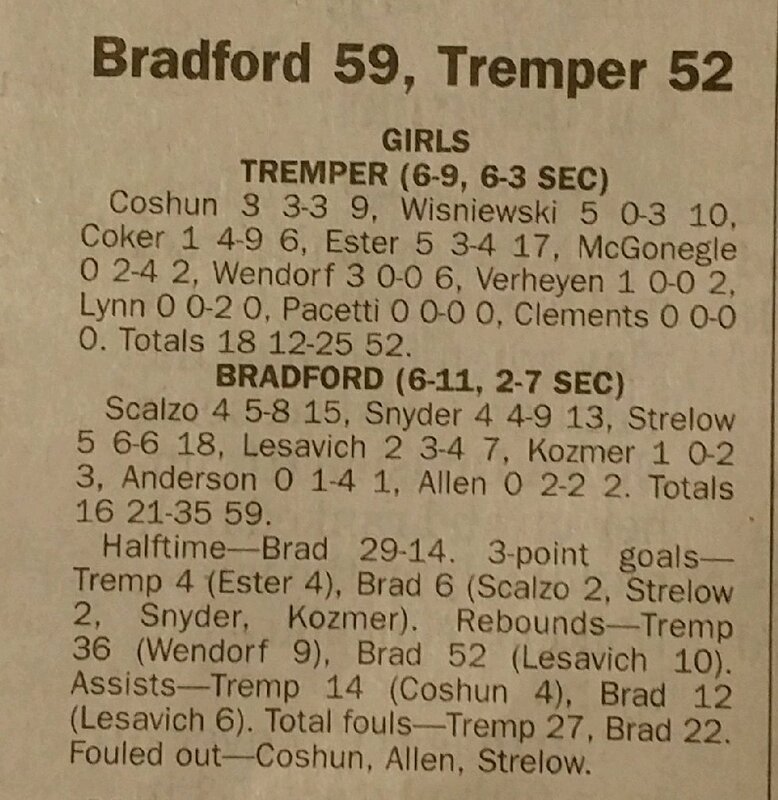 Katherine Lesavich and Coach JC in USA Basketball Tweet – April 2016. 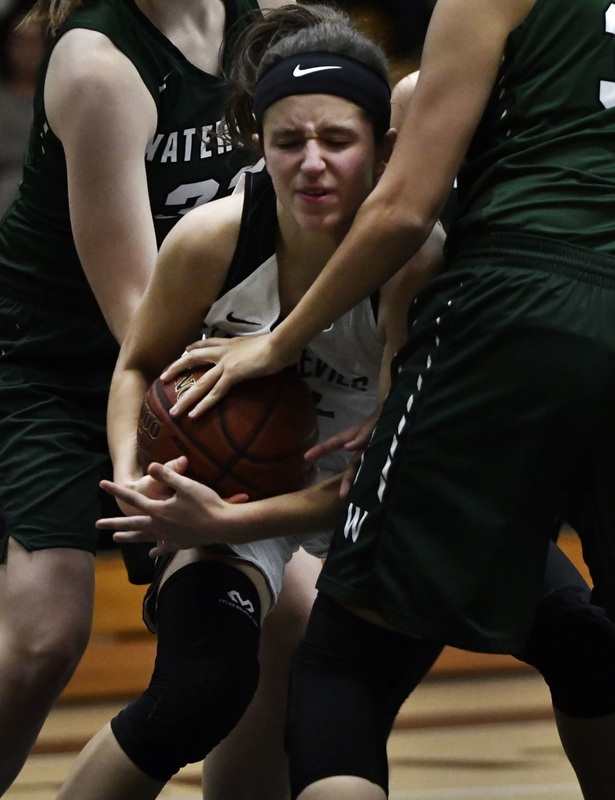 (Selected images purchased from the Kenosha News, Racine Journal Times and directly from photographers. 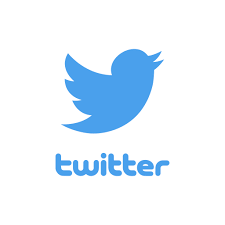 Used under licenses).